Try: American Muscle, Late Model Restoration, & CJ Pony Parts. I'm not sure what their chrome selections are, but they do offer great wheel/tire/TPMS packages. Ask them for a forum discount, as well. Good luck! I found my Advanti DST Svelto 19" rims at Tire Rack dot com. Technically, they're titanium mirror finish, but that's close enough to chrome to keep me happy. 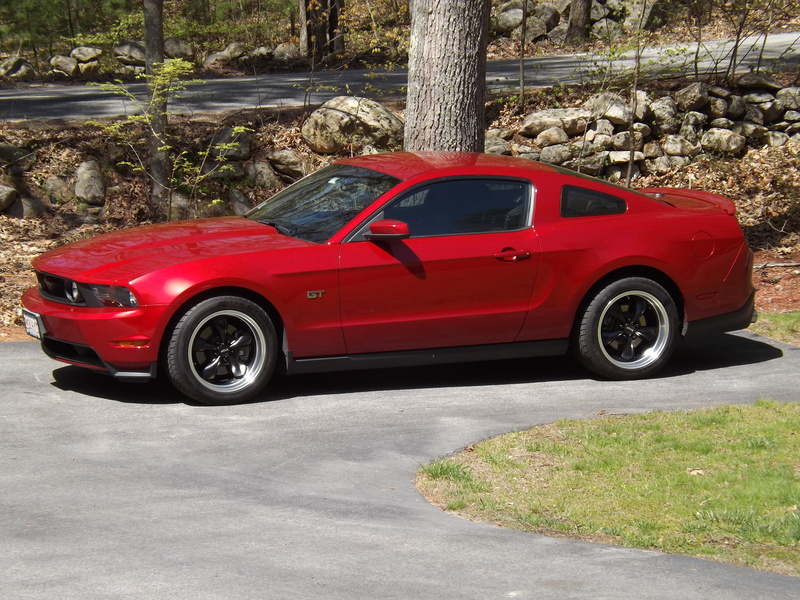 I have a 2011 GT ruby red base coupe . No you don't, you have "Red Candy" LOL . . . . "Ruby Red" was introduced later, maybe 2014 or 2015? Anyway it is still the "best color" and my Red Candy car is nick-named "Ruby." There are some chrome wheels still around, American Muscle and others have them. I'm pretty sure TireRack has some, and they also have a really cool tool where you can see the wheels on your car. I think chrome is more common in the "classic" design wheels such as Bullitts and less popular / less common on the more recent designs. Personally, I thought my Red Candy looked awesome with black deep dish bullitt wheels. The silver "dish" sets the black wheels apart from the black tires and the black center section worked great with the overall red and black theme of the car. (Unfortunately those wheels will not clear big brakes and that's why I don't have them any more, otherwise they were perfect IMHO) Picture below is not the best lighting on the wheels, but the best I have handy. Last edited by Bert; 2/7/18 at 07:01 AM. Red Red Red Red Red Red Red Red Redneck!